There is one particular group of warriors that are making the ISIS terrorists run and cower in fear – Kurdish Female Fighters. Why? The simple explanation is that the militant extremists believe if they are killed by an armed woman, they won’t go to heaven. They have no problem killing a defenseless woman (or man or child, let’s be clear), but a woman facing them down is something that is striking fear into their very hearts, and that is a good thing! The Kurdish fighters, or Peshmerga (the Kurdistan Region’s security forces), are quite revered in Kurdistan. In fact it is one of a few Muslim countries where women are respected and revered in society, and especially in the military according to the documentary video below. It is also one of the few Muslim regions where women are allowed to serve in the military and in combat roles. 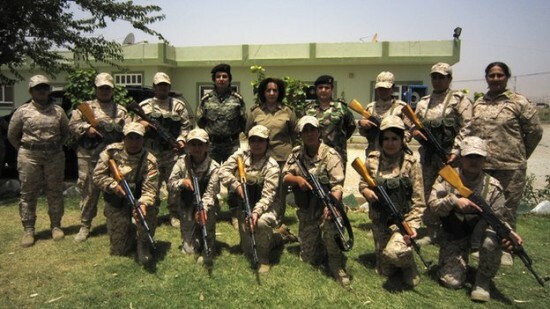 The female unit of the Peshmerga formed in 1996 to oppose Saddam Hussein’s regime, and remains a strong sector to this day. 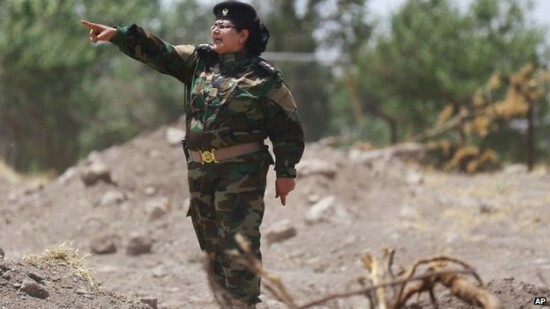 The unit’s commander, Col. Nahida Ahmed Rashid, says more women are enlisting today to defend Iraq’s Kurdish region from Islamist extremists. “They’ve taken up arms and gone to battle to protect Kurdistan, but also to say that there’s no difference between men and women,” Col. Rashid said to PBS Newshour. 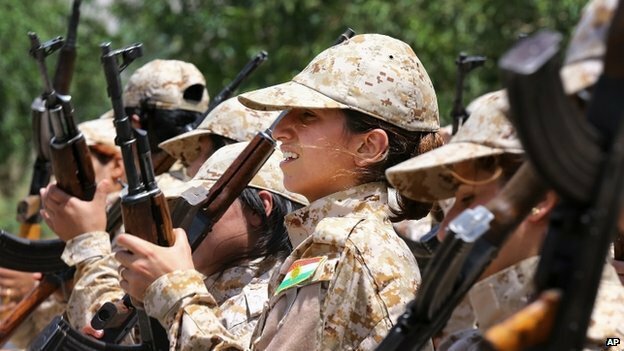 Women are also involved in Kurdish resistance to the Islamic State’s advances in Syria. Some 30 percent of the armed wing of the Kurdish Democratic Union Party (PYD) there, which also fights against Jabhat al-Nusra, al-Qaeda’s Syrian branch, are female. These women are on the front lines of the Kurdish strategy because of the fact that ISIS are scared of the religious implications of being killed by a woman. They have been instrumental in protecting cities and the Kurdish people, and are seen as a valuable asset to the Kurdish forces. Like Col. Rashid said, it is not just about being a woman (other than using it to their advantage because ISIS are so scared) but it is about these citizens of Kurdistan who are taking up the fight to protect their nation. Col. Rashid told the BBC that the women’s husbands and children are very supportive of what they are fighting for, as they see all the horrific things ISIS are doing via the Youtube videos being posted online. There is a lot of news about these brave female Kurdish fighters on the front lines of a rather ugly situation. While people are waiting on the US and other governments to act and defend the civilians in Iraq and Kurdistan, these women are showing the world that there is no job they aren’t willing to do, and no length they aren’t willing to go to ensure the safety and future of their nation. The 3 videos below are from 2012 when Vice News went inside the Peshmerga to document the female fighters. This documentary at the bottom of the post from 2013 goes into the history of the women in the Kurdish Security Forces. These are a must watch! Yipee! I love that these women are putting these stupid men in their place! I’m so excited that they are standing up for themselves and their families! Don’t underestimate women, don’t piss them off and treat them like they don’t have a brain, they will get on their broomsticks and get your behinds!! Brave, wonderful, inspiring women. Take that, you male chauvinist pigs!